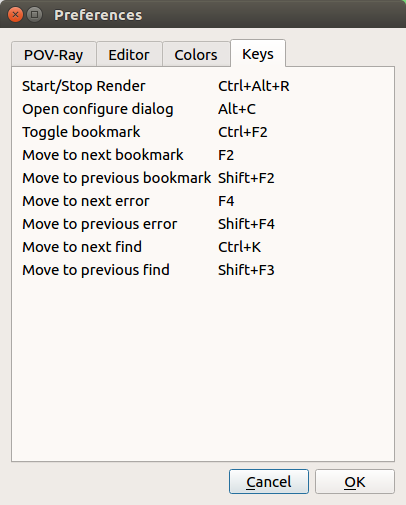 Many of the shortcut keys used in qtpov can be customized. The Keys tab facilitates that. The key for Find Next is F3. 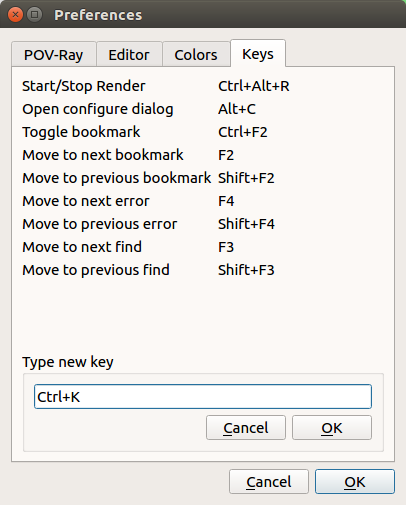 You would rather use the eclipse-centric Ctrl-K.
Click on the key or label for Move to next find. The Shortcut Editor opens up. 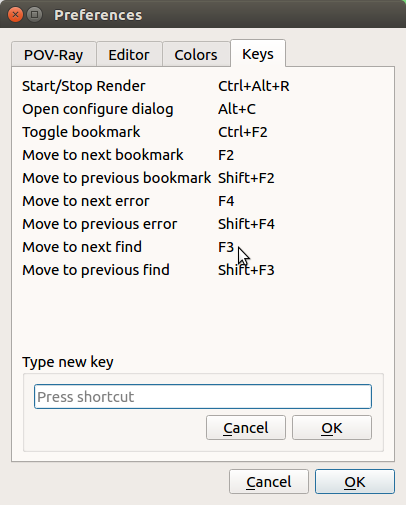 Click the inner Ok (near the new key) and your shortcut is updated.